Tips For Applying Lipstick That Lasts! Applying lipstick is one of two things you can do to highlight a focal point on your face. The other is eye make up… If like me, your lips are one of your best assets, play them up! This a step by step process of beautifying your lips and making them stay that way! What you'll see here is how to choose your colors, and apply them the best way possible. Lipstick can be co-ordinated by narrowing down the color range. First to what suits your skin tone, then to the hues that go with your other make up and outfit. By “go with”, we’re talking not talking about just matching similar colors. More like harmonious colors that work well together. Conventional lipstick colors range from purple- pinks to orange- yellows. Then there’s also the neutral beige, browns, and black. The number of combinations between these colors is endless! Begin by identifying your skin tone. Basically, if you have dainty and light coloring, go for the same type of hues in your lipstick. If you have richer color in your skin, go for the richer, deeper colors. So now you’ve narrowed down the colors down to those that are good for your skin. You will then choose one that harmonizes with the rest your makeup or outfit. To do this use the color wheel. 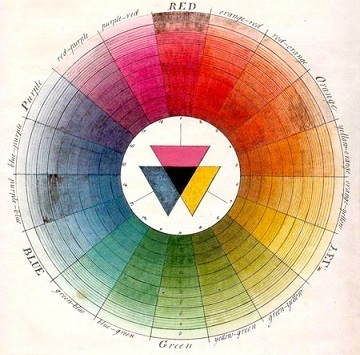 The color wheel represents colors in two ways. Three colors next to each other will complement each other and create beauty. Two contrasting colors, opposite to each other will bring out the best in the other. So when choosing your color scheme, you can choose to contrast for drama. Otherwise you can choose to complement for a nice, subtle flow. Here’s an example. You may want to pick your eye shadow colors before applying lipstick. Let’s say you’re wearing a blue and green outfit and you have a warm skin tone. Let’s assume you want to highlight your lips. Then based on the colors in your outfit and your skin tone, you will go for an orangey- red lipstick. If your skin tone is cool, you would go for a more pinkish-red lipstick. First Prep Before You Pucker Up! Everything goes on better on a smooth base. Make sure your lips are as smooth as possible before applying lipstick. Take care of them as you would your skin. Brush them with a soft bristle toothbrush or facecloth. This will help slough off dead skin cells. Then apply a lip cream, Vaseline, or lip balm with to keep them soft and protected. Let it almost sink in before you apply the lipstick so that you can trap the moisture. If you’ve been negligent, or are one of those people that shed with the changing of seasons (This is a good thing, it means your body’s efficient!) then you may have flakey, chapped lips to deal with. In that case apply a lip balm for chapped, sore lips. Something with cooling agents likes menthol. Once your lips are ready, you can apply a little foundation to unify the lip color with your skin color. This is especially if you’re going to line them with a lip liner before applying lipstick. The lip liner stops your lipstick from bleeding out. You can also use it all over your lips as a base for your lipstick. This will help your lip stick stay on longer…. If you get one liner, find one that matches your lip color. This is going to be a neutral lip liner that can work with most of your lipsticks. Otherwise, try buying a lip liner each time you buy a lipstick. Another tip for making lips look plump: give yourself a lippie boost by lining the middle third of your top lip, and the two outer thirds of your bottom lip with concealer. Make sure you- guessed it- blend, blend, blend! Applying Lipstick That Stays for Hours and Hours! If you want it to last even longer, buy and apply a lipstick that’s been formulated for long wear. You might be concerned about the safety or environmental impact of these lipstick formulations. After choosing one that's right for you, apply it the right way. Now use whichever tool you prefer. A brush is handy for hygiene, especially if you share your lipstick. Otherwise if you’re prone to cold sores and such, keep your lipstick infection free by using a brush that you can sanitize after use. Apply lipstick in layers to make it last. Put it all over the lip, and then blot it with a tissue. 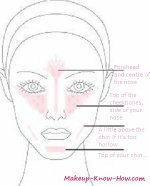 Apply about two or three layers, blotting in-between. Place 1 ply of tissue over the lips, and then apply powder over this. Do this between 2 or three layers of lipstick and it’ll last you a good few hours.